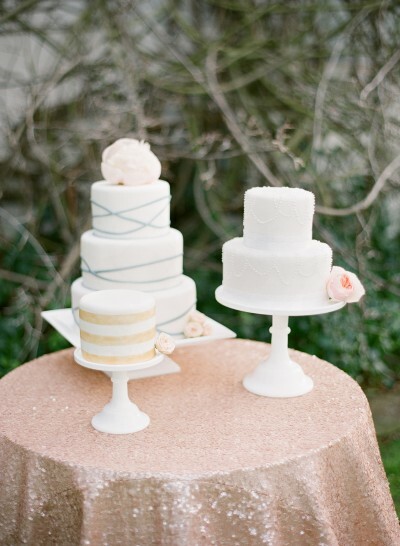 These trio of Cakes were featured on Style me pretty in 2013. 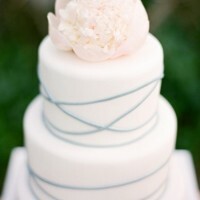 The three tier in the back has simple, yet beautiful, silver details going all around the cake with a large pink peony sitting on top. 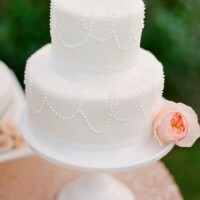 To the right, is a two tier cake that has what I like to call pearls going around the top edge of the cake in oval circles. Then the base is adorned with lace ribbon. 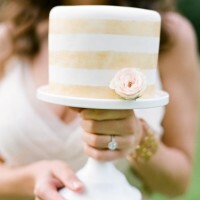 To the left, is a single tier cake with gold luster dust stripes.